Bernardo Pires recently joined INL as a Cleanroom Research Engineer in the Micro- and Nanofabrication Department. 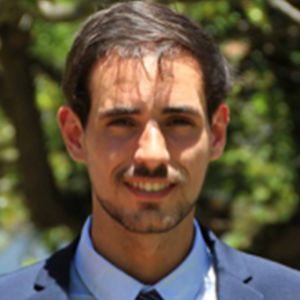 Bernardo, with an Engineering Physics academic background, completed a Masters in Bioengineering and Nanosystems at the Instituto Superior Técnico (IST, Lisbon, Portugal) with “Sub-100 nm Spintronic Devices on Large Area Wafers” as his thesis topic. Due to his ongoing interest in nanotechnologies, he joined the spintronics and magnetic sensors group at the Instituto de Engenharia de Sistemas e Computadores Microsistemas e Nanotecnologias (INESC-MN, Lisbon, Portugal) where for two years until January 2017, he was enrolled in several projects including the development of nano/micro fabrication processes compatible with organic crystals for enclosed light trapping devices.